Continuous and coordinated HIV care is essential for persons living with HIV to benefit from the advances in medical treatment of the disease. Approximately one in seven individuals living with HIV pass through correctional facilities annually. While sentenced individuals may receive discharge planning services, detainees in local jails usually do not. 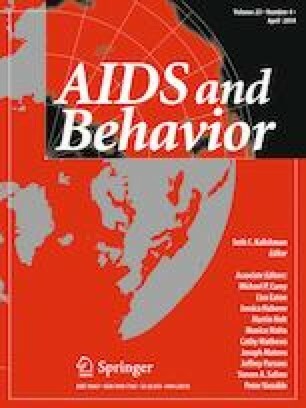 The multisite evaluation of the EnhanceLink initiative demonstrated that jail based services including discharge planning were associated with high rates of linkage to community HIV care upon release. Follow up for the multisite evaluation was limited to 6 months. This paper extends follow up to 12 months at one site and demonstrates that clients who were linked by the jail based case manager to a Ryan White community based case manager were more than nine times more likely to be retained in care at 12 month post release. (OR 9.39, CI 1.11–79.12). This publication was made possible by a grant through the U.S. Department of Health and Human Services, Health Resources and Services Administration, HIV/AIDS Bureau (H97HA08543). The content of this publication does not necessarily reflect the views or policies of DHHS. Responsibility for the content of this report rests solely with the named authors. All authors report no conflict of interest. All study procedures were approved by the MetroHealth IRB protocols #08-00124 and #09-01301 and were performed in compliance with the Declaration of Helsinki. A certificate of confidentiality was received for additional protection of subjects. All study participants completed informed consent prior to any study related activities.